We love Twitter. It’s the best place in the world to find and exchange real-time information. Because we love it so much, it broke our heart that it had no friends. As much as Twitter is phenomenal for sharing information, it has little insight about relationships. On Twitter you can easily find influencers and thought leaders but can’t find the warm introductions you need to engage them. We gave Twitter some friends. As we’re always thinking about how social networks can complement each other to make users more productive, we thought Facebook & LinkedIn could give Twitter some friends. With Facebook and LinkedIn capturing so many of the world’s personal and professional relationships, we could bring those connections into Twitter. So we’ve turned on Discoverly for Twitter. Now when you’re looking at an influencer’s profile on Twitter, Discoverly reveals your mutual connection from Facebook and LinkedIn. 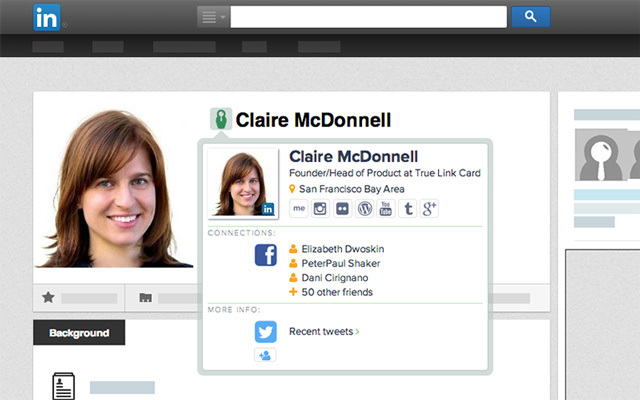 In one click you can message your friends and contacts on Facebook and LinkedIn for an intro. All from within Twitter. Facebook & LinkedIn get some Twitter love. We believe social networks can have symbiotic relationships. In the same way Discoverly now makes Twitter users more productive by bringing in Facebook and LinkedIn relationships, we can make Facebook and LinkedIn users more productive by giving them access to information exchange on Twitter. 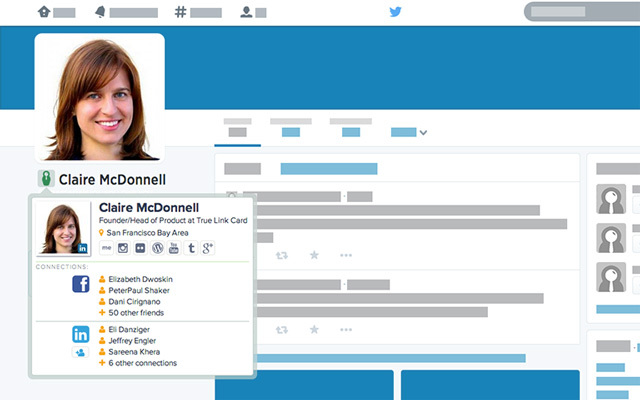 So we’ve layered Twitter on top of Facebook and LinkedIn. Now when you’re looking at Facebook or LinkedIn profiles, Discoverly reveals recent tweets and lets you get to their Twitter profile in one click. You can even follow the person on Twitter without leaving Facebook and LinkedIn. We’ll keep bringing social together. With this update to our Chrome extension, Discoverly is now integrating three of the largest social networks in the US. And we’re nowhere near done. We think all these social tools have their purpose and users want to keep them separate, but they also want to be able to see across them. We’re excited to turn Discoverly on for more services and incorporate data from more social tools to make our users more productive. Stay tuned and keep giving us feedback how we’re doing and what you would like to see us do next.